WWE: Monday Night Raw matches and results! Roman Reigns wanted to have a talk with Seth Rollins about it so he calls out Seth Rollins. Seth Rollins comes out and tells Roman how he knows what it feels like and says if anyone needs a title shot against Brock Lesnar for the WWE Universal Championship. Roman Reigns then goes on to wish Seth Rollins good luck but there's one little favour he wants off Seth. And that is to forgive Dean Ambrose so The Shield can reunite. Seth didn't want to but he suddenly agreed so then Roman calls out Dean Ambrose. Dean comes out and walks around on the stage about to talk Elias comes and hits him with a guitar and runs off. Seth & Roman would then run up to check if Dean is fine. Drew, Bobby & Baron have been attacking everyone lately from The Shield to three men who want revenge. WWE Intercontinental Champion Finn Balor, Braun Strowman & Kurt Angle. Results: Drew McIntyre, Bobby Lashley & Baron Corbin defeats WWE Intercontinental Champion Finn Balor, Braun Strowman & Kurt Angle. After weeks of competing Ruby Riott, Natalya looks to pick up a victory in her match with Ruby Riott. Ruby Riott would bring her friends Liv Morgan & Sarah Logan who watch at ringside. Lacey Evans would then walk down and back up. Results: Natalya defeats Ruby Riott. Last week, Batista came and attacked Ric Flair to get Triple H's attention. Well, let's say he's now got his attention. Triple H explains how he wanted to walk Ric Flair down to the ring one more time. Then he goes on about how he's been there for Ric Flair. He then talks about how he wants a face-to-face conversation with Batista. He mentioned he'd give Batista anything he wanted. But where will this feud go? 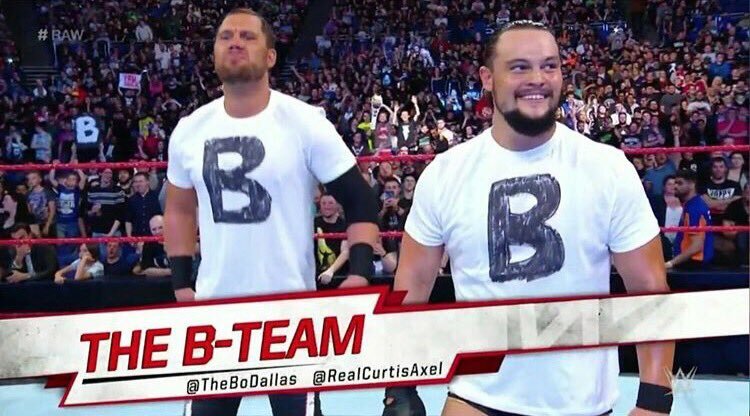 Looking to win the Tag Team Gauntlet Match, The B-Team is eliminated first. Then it comes down to Zack Ryder & Curt Hawkins vs Heavy Machinery. 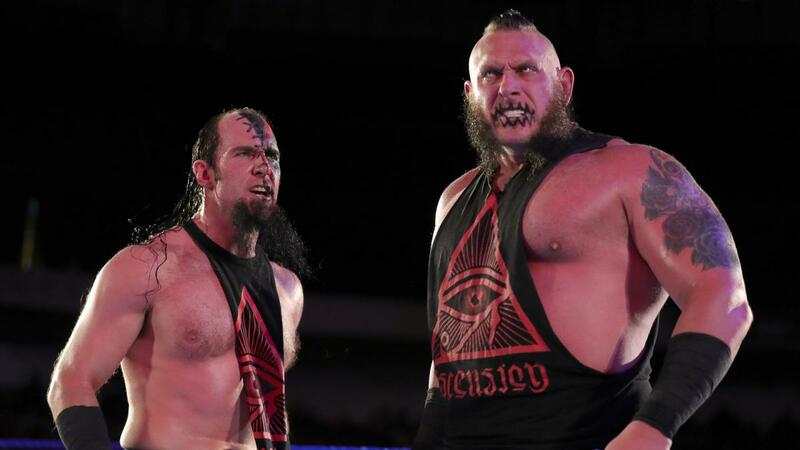 Results: Heavy Machinery defeats The B-Team, The Ascension & Zack Ryder & Curt Hawkins. Having a hard night already after getting hit by a guitar from Elias. 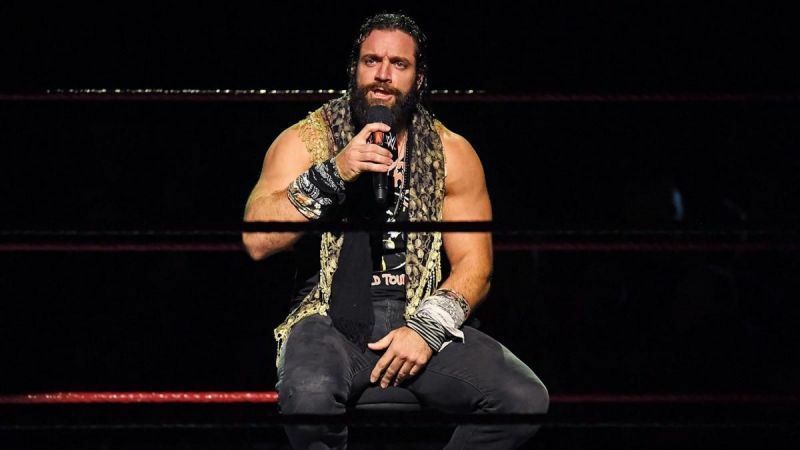 Results: Elias defeats Dean Ambrose. After the match, Roman Reigns and Seth Rollins came down to the ring to see if Dean would reunite The Shield. Walking away, Drew McIntyre, Bobby Lashley & Baron Corbin walk down mentioning how they wanted to face The Shield at Fastlane. But instead, they all go into the ring attacking Roman & Seth. Dean would watch but suddenly he'd run down and save Roman & Seth. He would then reunite The Shield. Last week, Bayley defeat Nia Jax. But can Sasha Banks defeat Tamina? Results: Tamina defeats WWE Women's Tag Team Champion Sasha Banks. Michael Che & Colin Jost walk backstage to leave the arena but then Michael says he needs the bathroom. So Colin Jost waits for him and says he ain't scared of the wrestlers. Suddenly, Braun Strowman walks up to him and then Colin starts to get scared. Braun Strowman would grab him and lift him up by his collar. Suddenly, Michael Che would come back while officials would get Braun Strowman to put Colin down. After weeks of succeeding, Aleister Black & Ricochet get a Tag Team Championship opportunity. In the middle of the match, Bobby Roode & Chad Gable would get involved. Results: WWE Raw Tag Team Champions The Revival defeats Aleister Black & Ricochet via Disqualification. 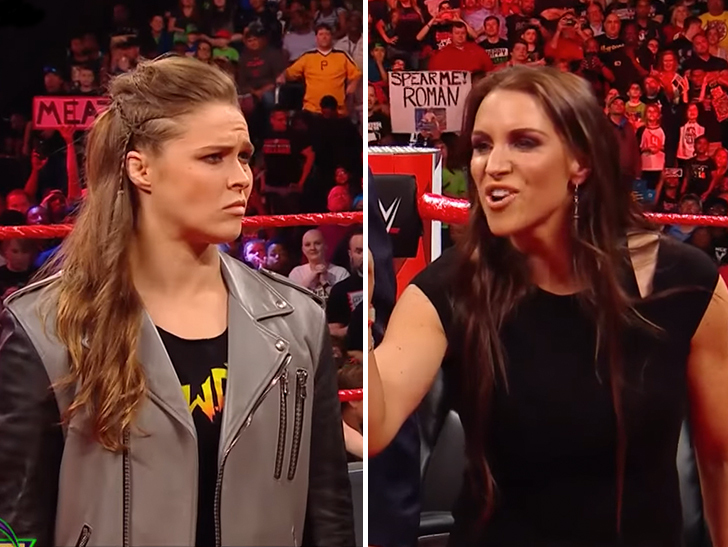 Stephanie McMahon would announce that at Fastlane, Charlotte Flair & Becky Lynch would compete for the WWE Raw Women's Championship. Due to an injury, Becky signs a contract stating that she can't sue WWE if she gets injured more. Ronda Rousey would suddenly turn up saying she didn't give up on the title. She was giving Stephanie McMahon a week to decide what was going to happen. 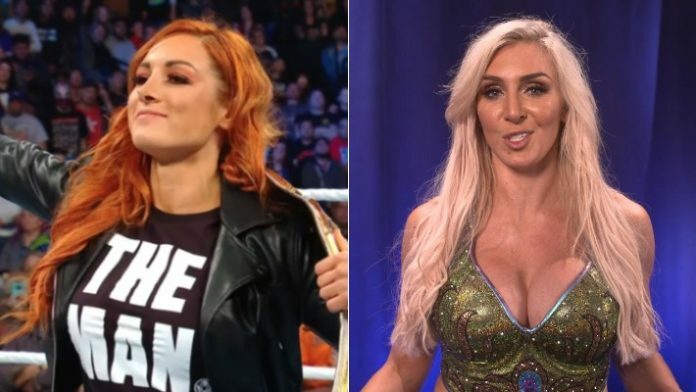 Having her title back, Charlotte Flair & Becky Lynch would still have their match at Fastlane. Suddenly, Ronda Rousey attacks Becky Lynch. thought becky was on 60 day suspension set by Vince @tropical?